Save $3.59 on Your Order with Advantage Today! ZoneRx Bars are the ideal snack to help stabilize blood sugar for at least three hours so that you maintain peak mental alertness with a corresponding lack of hunger. Why? Because of the high levels of polyphenols and prebiotics (fermentable fiber) in each ZoneRx Bar help support the release of satiety hormones as well as support optimal gut health. 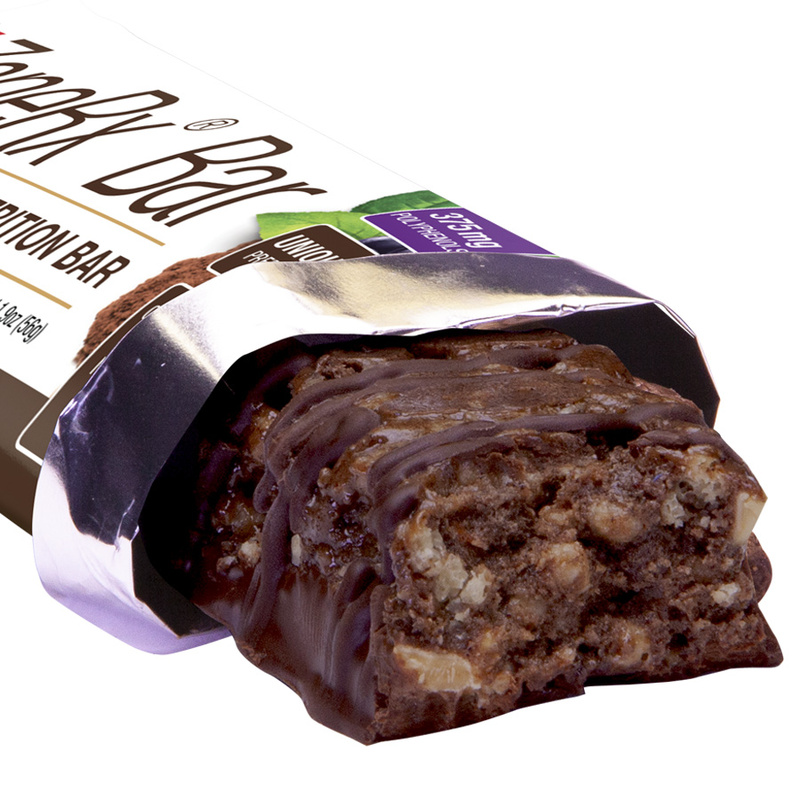 Our new and improved crispy chocolate bars represent the first significant breakthrough in nutrition bars in the 21st century. Unlike, typical bars you find in health food stores, these ZoneRx bars are true chocolate bars rich in cocoa polyphenols with low levels of heavy metals found in expensive dark chocolate bars and are Non-GMO. That is only possible because we use CacaoRx, our proprietary reduced cocoa extract as our key ingredient in each ZoneRx bar. What makes each ZoneRx Bar unique? 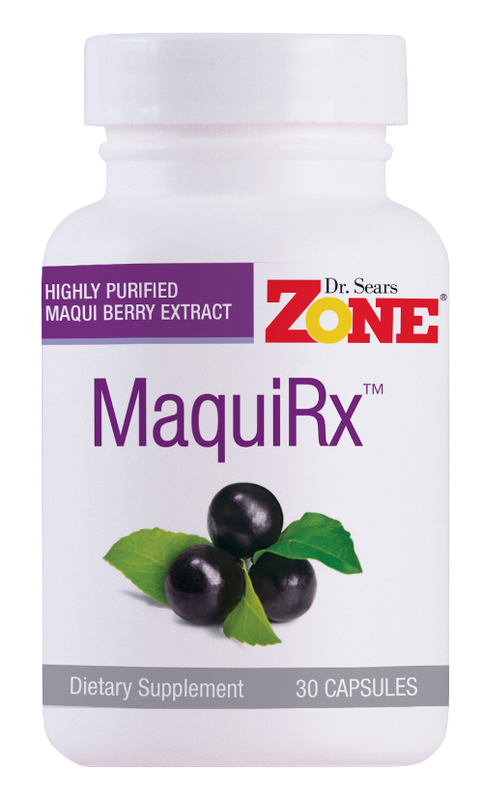 MaquiRx® and CacaoRx™ — Our proprietary polyphenol extracts provide 375 milligrams of polyphenols to help activate genes that help reduce oxidative stress, inflammation and the rate of aging. 16 grams of protein — Balanced with low-glycemic carbohydrates, our bars help support stable blood sugar control. Fortified with prebiotics — Enjoy improved appetite control and gut health support. Our unique Controlled Release Nutrition technology allows the polyphenols and fermentable fibers to interact in the ZoneRx bar in optimal synergy for improved gut health. Your end result is three hours of appetite suppression with great taste. If you want optimal gut wellness, you need a lifetime strategy and products that deliver results you can see, feel and test. 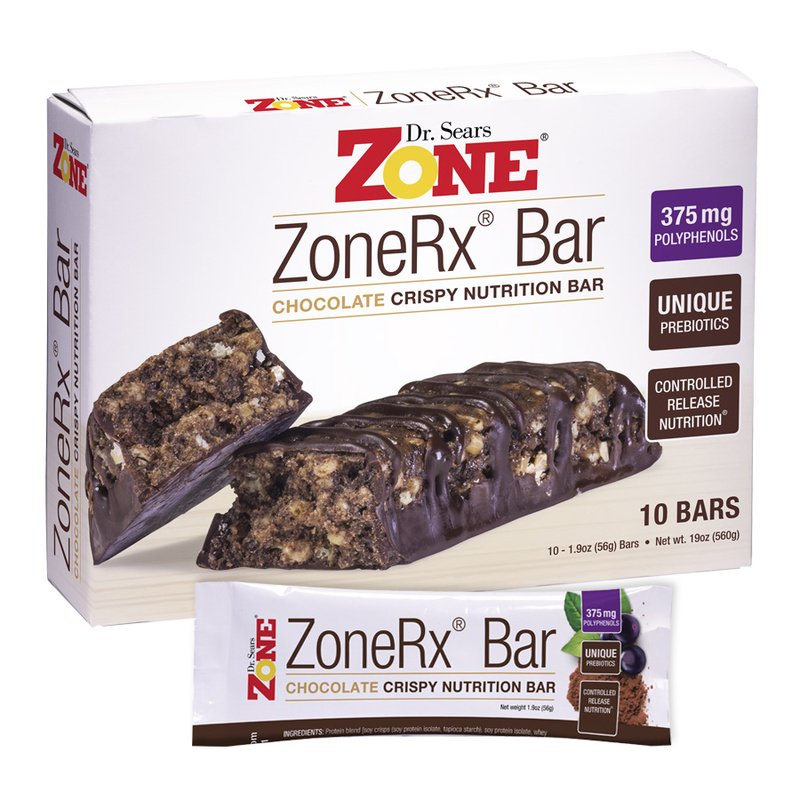 The ZoneRx bars are part of that dietary strategy. We call it Evidence-based Wellness®. Just $3.24 per bar for Advantage members. 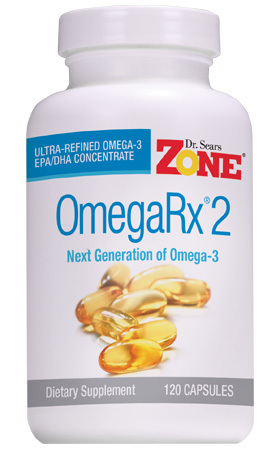 ZoneRx represents the next generation of nutrition bar technology. Dr. Sears introduced the first high-protein nutrition bar in 1992 that was balanced with low glycemic carbohydrates to stabilize blood sugars levels. Today, his new generation of ZoneRx bars is the first to also deliver high-dose polyphenols optimized for gut health. Each ZoneRx bar contains 375 mg of a combination of refined low-cadmium chocolate polyphenols plus MaquiRx. Together, these ingredients are needed to promote gut health and anti-inflammatory actions. In addition, these levels of polyphenols coupled with the blood sugar stabilization resulting from the protein-to-glycemic load in the bar significantly increases satiety. No other bar in the world today can come close to these levels of polyphenols that are required for both optimal gut health and maximizing satiety. Taste good. Filling. 1/2 bar plenty for a snack. Wish there was chocolate mint. And I miss the old chocolate raspberry! I’m just starting out on the zone diet. I don’t have time to make breakfast in the morning, can I eat these bars for breakfast? Are there other quick items that I can eat on the go? I love them just woundering if They are gluten free? These are good bars only wish they came in a flavor(s) other than chocolate as I’m not a big fan of chocolate. The ZoneRx Bars are great. They are healthy, filling and they taste great. The taste is great! They taste much better than other types of bars. I am hoping you will come up with other flavors. I enjoy all of your Zone products. tastes great but why does the blurb on the back don’t use these bars if you are 20% overweight?